Tenor Scott Piper was last seen at Seattle Opera as Rodolfo in Puccini's Bohème, and he returns this season as Edgardo, Lucia’s beloved, in Lucia di Lammermoor. The role is one that Piper is familiar with, having recently performed in Opera Cleveland's production of Lucia this past May. While there, he worked under the direction of Tomer Zvulun, who will also be at the helm for Seattle's Lucia. Piper took some time from rehearsals to let us know what working with Zvulun is like, how he approaches the role of Edgardo, and what he loves about Lucia. 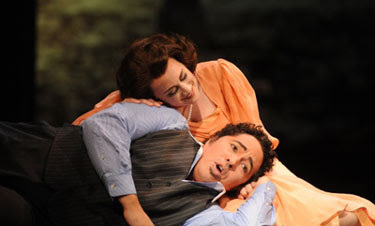 What was it like working with Tomer Zvulun for Opera Cleveland's production of Lucia? I had the great privilege of working with Tomer, and I found the experience to be extremely rewarding. Tomer has the exciting ability to extract a unique and interesting perspective from an otherwise familiar story. His productions strike a beautiful balance between the traditional and the modern, and in turn offer audiences—and performers—a refined framework within which we can appreciate both the music and the theater that is opera. 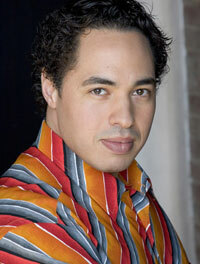 Scott Piper in Opera Cleveland's production of Lucia di Lammermoor. Photo by Eric Mull/Ruppert Bohle. When it comes to such a well-known character like Edgardo, how much room for interpretation is there? Do you try to personalize the role when you perform it? Interpretation comes from a deepening ability to look into the score and see a distillation of the composer's wishes. I rely heavily on the director and the conductor to aid me in successfully and clearly showcasing the dramatic and musical arcs of the character. There is always room for interpretation, but always within the structure and symmetry established by the musical score. There are many factors which seem to personalize a role for me. One factor is the color and temperament of my voice. For each of us performers, our instruments carry distinct aural—and, I hope, emotional—impact. Another factor would be my own physical stature and the way it reads on stage. Otherwise, the energy I put into the performance is not so much concerned with personalization as with what the composer has already established. Along those same lines, Cleveland's Lucia was set in the 1930s, while Seattle's Lucia is set in the mid-1800s. Does this change how you approach your character? The heart of Edgardo is timeless. His interests are succinct; his only goal and desire is to have a "happily-ever-after" with Lucia. Despite the pressures preventing them from being together, and whether Edgardo is the son of a mafia boss or of an aristocratic family, his truth is unchanged. He wants Lucia. To me, the fact that Lucia can stand up to many different visual representations and still retain its own integrity is one of the strengths of Donizetti's and [librettist] Cammarano's adaptation of Walter Scott's novel The Bride of Lammermoor. 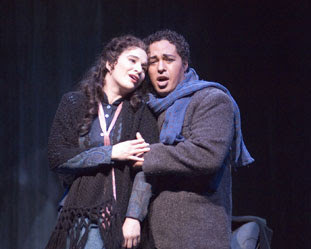 Scott Piper in Seattle Opera's 2007 production of La bohème. How do you personally feel about Edgardo? Do you like him, or relate to him? First, I would have to say that I feel Edgardo is a very young soul. And on a positive note, I feel that despite having lost everything, Edgardo still has hope. He proves this in his exploration of love, devotion, and commitment in the most difficult of situations with Lucia. On the downside, Edgardo can be selfish, moody, and impetuous. He jumps to conclusions about Lucia before she has had the opportunity to explain herself. Finally, do you have a favorite part or moment in Lucia? A line that especially moves you, or a section of the score you find particularly fun to sing? The entirety of Lucia is such a pleasure to witness and perform. There are so many beautiful moments that it's impossible to pick just one. But the sextet at the end of Act 2 is fun to perform, not just because the music is so beautiful, but also because we onstage invariably hear the murmur of excitement that spreads through the audience when they recognize such a famous piece of music.